The 10,000 year old mammoth tusk at the Campbell Creek Science Center in Anchorage before it was stolen. The woolly mammoth won't miss its tusk, but paleontologists and museum goers likely will. 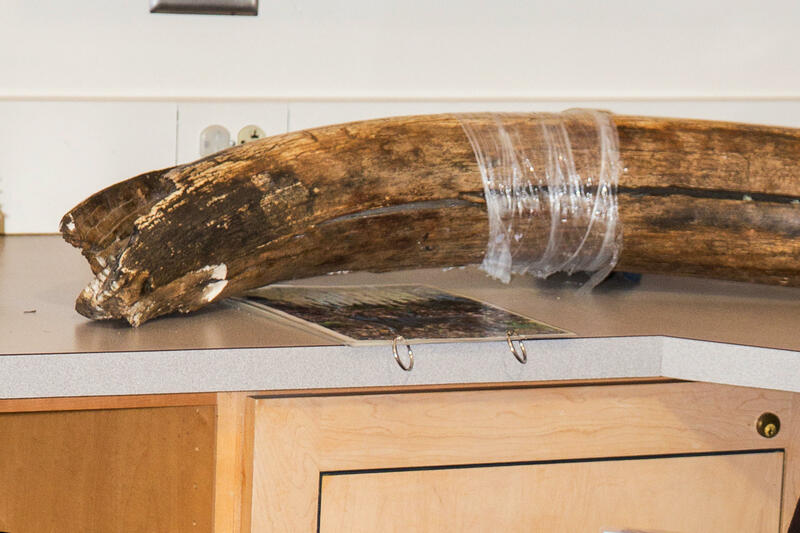 On Thursday, a man was sentenced to federal prison after he and a co-conspirator stole – then segmented and sold – a fossilized mammoth tusk from a museum of the Bureau of Land Management in Anchorage, Alaska. U.S. District Judge Sharon Gleason sentenced 52 year-old Martin Elze to 33 months in federal prison, then three years of supervised release. Elze was also ordered to pay over $8,000 in restitution to the Campbell Creek Science Center. The investigation also found that while Elze was in custody because of an unrelated state prosecution, he tried to influence a witness "to make materially false statements to the federal grand jury hoping it would shield him from prosecution." In December of last year, Elze pleaded guilty to one count of "removal of a paleontological resource." His co-conspirator, Gary Boyd, pleaded guilty to the same charge in January, and is scheduled to be sentenced at the federal courthouse in May. 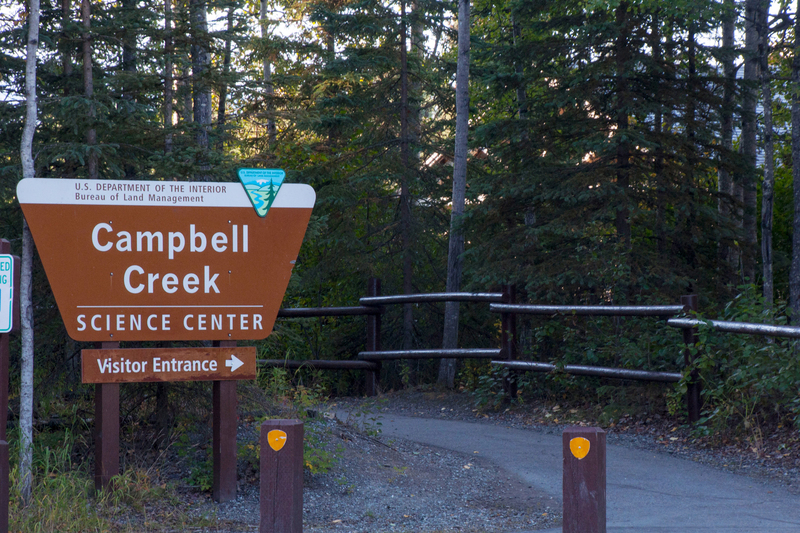 According to a press release from the U.S. Attorney's Office in the District of Alaska, Elze and Boyd cased the Campbell Creek Science Center the day before they broke in. The two men talked to the center's staff and asked questions about the fossil's "weight and authenticity." The next day, Elze and Boyd returned after-hours. Boyd broke a window with a rock – causing over $1,000 in damages – and opened the center's door. Then, he took the tusk. Elze and Boyd cased the Campbell Creek Science Center the day before they broke in. They talked to the center's staff and asked questions about the fossil's "weight and authenticity." The next phase of the heist was caught on camera. The museum's surveillance system recorded the two men working together to carry away the tusk, which The Associated Press reported was five-and-a-half feet long. Before the perpetrators were charged, the museum's spokesperson Maureen Clark told Alaska Public Media the 100-pound tusk was on display in a classroom at the center. "People could come up and touch it," Clark told Alaska Public Media. After stealing the tusk, Elze and Boyd cut it up and sold off the pieces. In court documents, federal prosecutors put the tusk's worth at somewhere between about $7,000 and $9,000 when it was still intact. But the cost to science is harder to measure. An indictment issued when the men were charged last year called the tusk a paleontological resource: "[It] was preserved in or on the earth's crust, and was of paleontological interest and provided information about the history of life on earth." Clark told Alaska Public Media the fossil was found during the 1980s on BLM land in the Colville River area up on the North Slope. The woolly mammoth became Alaska's official state fossil in 1986. According to the National Park Service, mammoths lived during the Pleistocene ice-age, and their remains can be found throughout Russia and Alaska.